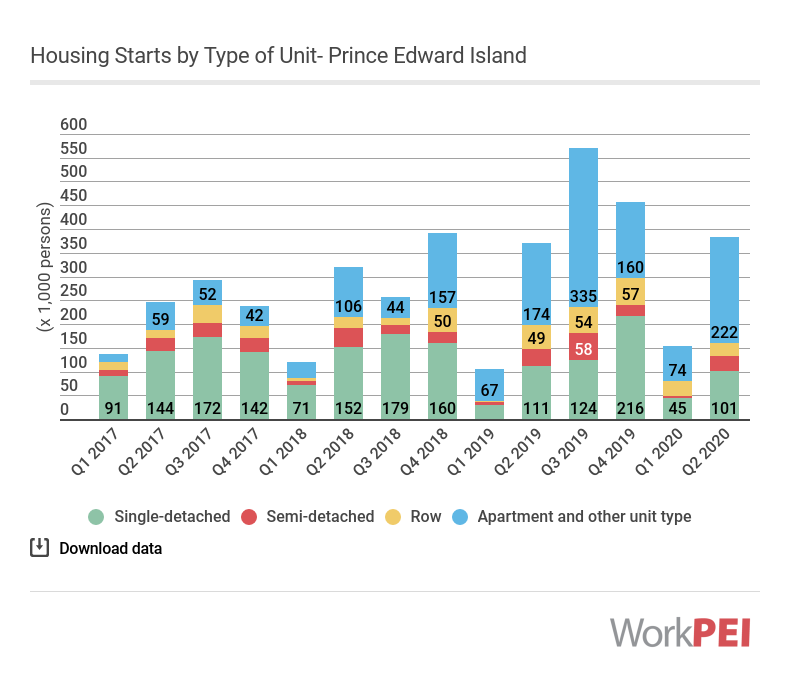 Housing starts decreased in Prince Edward Island from 121 in the first quarter of 2018 to 105 in the first quarter of 2019, a year-over-year decrease of 16 units (or 13%). Canadian starts decreased 15.5% over the same period. Adapted from Statistics Canada, Table 34-10-0135-01 (CMHC). This does not constitute an endorsement by Statistics Canada of this product. Construction of housing units in urban centres with a population of 10,000 and over. A housing unit is considered “started” when basement foundation construction begins.